The modern day manufacturing industry is all about precision and speed. Long gone are the days when four hours delay or a half-inch error was shrugged off as an acceptable imperfection. Everyone wants a perfect product, and they have every right to do so. CNC machining not only increases your throughput of welders and fabricators but also results in a tremendous boost in product quality and consistency. Computer Numerical Control (CNC) machining uses special computers to control numerical machines. Numerical machines work by interpreting a set of numerical instructions from the controller. These could be coordinates on an x,y,z axis or a thermal controller that receives temperature input in degrees. CNC machining will not only let the operator enter settings via a traditional keyboard but also automate repeated use of the entered information, increasing productivity and consistency.With automation and ‘lights out’ manufacturing catching ground, more and more people are contemplating CNC machining. An accurate implementation of the CNC concept will not only increase production efficiency but also boost a company’s accuracy and product quality. A CNC machine uses custom programs stored into the memory of a computer. 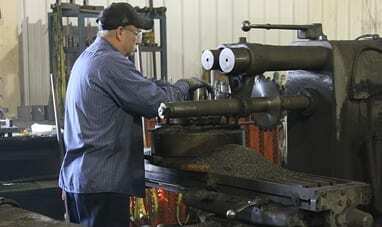 Each working program is tailored to what the machine must do at different manufacturing stages. If the production process changes or engineers need to alter the verticals, the programmer will use the CNC machining language (G-code) to alter the machine’s settings. When used in welding and fabrication, this process will virtually eliminate problems which arise from human error. Since CNC machining uses sensors to judge its actions, every weld will be done at the right temperature and to the right strength. Your fabrications will be extremely accurate as a result. CNC machining adds speed and accuracy to high-precision welding jobs. It helps welders create structures that maintain an ideal balance between strength and size. This coupled with other fabrication processes is key to producing a perfect and innovative product every single time. By adding the flexibility and versatility of a computer controller to such highly numeric processes, the manufacturing plant manages to do away with what could be the greatest bottleneck in the production pipeline. All the user has to do is ensure that the computer is running the right program for the job and that the necessary material is fed into the machine. The greatest benefit of CNC machining lies in pushing the versatility and reliability of automation to the limit. By coupling a robot with a learning brain you get an ‘intelligent’ tool that can handle critical manufacturing for days without suffering from fatigue or human errors. 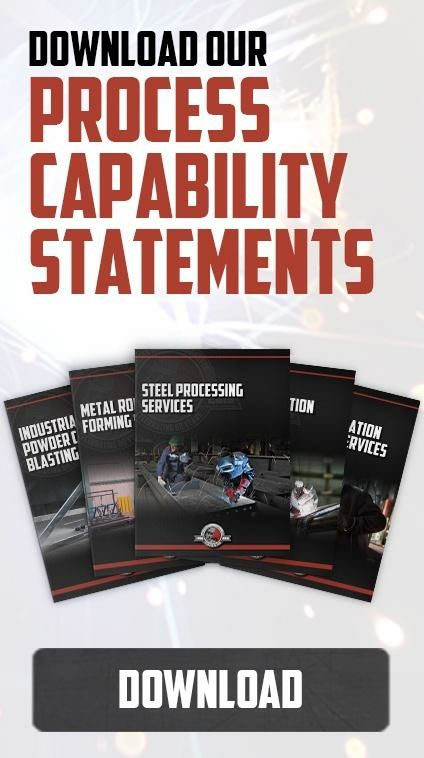 This helps welders meet fabrication deadlines while maintaining your quality demands and budget restrictions. Manual machining has been a primary means of production for a very long time. However, with demand and competition increasing, most welding and fabrication companies either must adopt automation or charge a significantly higher price per unit for handcrafted work. CNC machining is all about speed and precision. Welders can use these machines to produce complex shapes or welds to a millimeter accuracy faster using a CNC plant as opposed to working by hand. Better still, fabricators can produce a thousand more units of the same product with the exact same details and accuracy without breaking a sweat. Even though manual machining still has its place, the undeniable power, predictability and resilience of automation is certainly impressive. Overall, CNC machining is the only source of high-level precision applied on extremely repetitive jobs. Hiring a CNC machining expert to handle your high precision component production is a wise decision. As a result, you will not have to worry about high initial investments or spend time looking for additional staff. This coupled with the fact that you will still be free to focus on your company’s specific production demands makes outsourcing more efficient for any manufacturer. You will get better throughput, less operational costs and will not have to expand your staff. 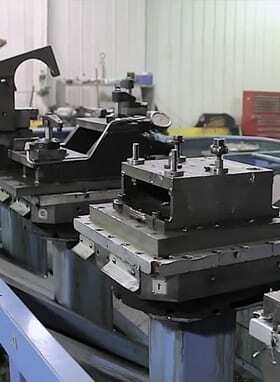 Bringing on an outside team for CNC Machining is all about efficiency, and doing so will help you to streamline your entire process (particularly if the components being manufactured are essential to your process). Partnering with a welding company you can trust will significantly increase your chances of meeting your production deadlines. Looking through the fabrication shop’s references and finding people it has worked with successfully in the past is the most reliable way to identify an impressive workshop. A good CNC machining expert will have a reputation for producing high-quality products in a timely manner. Transportation plans, especially if you order in bulk or want heavy products. Someone with access to a railway stub or offering global shipping will be more logistically efficient. The cost-quality balance: will you be getting your money’s worth? Swanton Welding & Machining, we offer a wide range of machining services that range from threading to turning, boring, drilling and facing. Our high-precision MAZAK 6-pallet and OKK mills will help us provide you with the high-quality CNC machining you need at affordable rates. Our machine’s efficiency and throughput will ensure that we can meet your demands on time without compromising the build quality of your product. 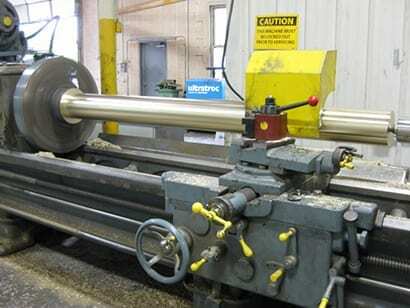 Contact Swanton Welding today for all of your CNC Machining needs.